When it comes to renting a car, the first thought people have is of long lines and annoying paperwork including photocopying of IDs and insurance cards. It is not a pleasant experience, but one that most will justify going through for the outcome. Smart rental companies are realizing that in order to retain and attract customers, they need to make this experience faster and less painful. Today, consumers have many choices that compete with rentals. Technology that automates the intake of ID documents like driver’s licenses and insurance cards, speeds up the process and protects businesses. Simply scan an ID to auto-populate the information into CRM or Dealer Management Systems and store data and images of the ID, no photocopies or pages of paperwork needed. With mobile devices, businesses can offer rental cars from any location or even drive the vehicle to the customer. Another benefit to the rental companies is the protection ID verification provides. In the same swipe or mobile capture of an ID, the license can be verified in seconds to ensure that it is not fake and the driver is who they claim to be. This prevents fraud by catching fake IDs and provides a copy of the license image on file which is needed in many states to submit claims for stolen vehicles. Rental theft can be very costly and is often accomplished with only the aid of a fake ID. The car sharing market continues to grow as many would-be car owners in cities and urban areas feel it is more economical and even more environmentally friendly to opt for a service such as Zip Car. Drivers can simply pick up vehicles they locate on a mobile app and can drive them to a destination for easy drop-off. ID verification allows for quick and easy onboarding of members for such service providers. They can verify the identities of their users, ensure that a license is valid and have their ID images and data on file. Facial recognition match or other biometric technology can then be used to unlock cars at their pick-up location. The process is easy, fast, convenient and most importantly, secure. Businesses can protect their fleet and know who is driving their cars. Another extremely popular form of transportation is ridesharing services such as Uber and Lyft. New services are popping up worldwide due to the convenience and ease of use this model provides. 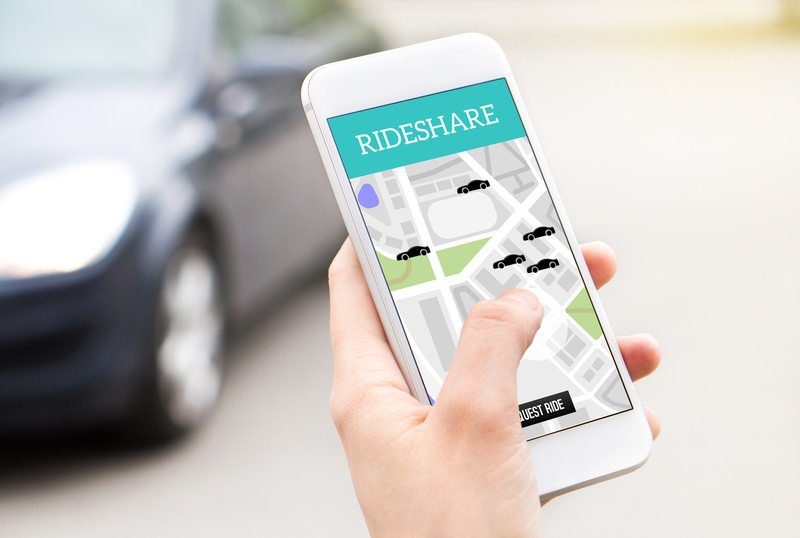 Users simply access a mobile app for on-demand service, but the service is not without pitfalls as evidenced by many stories of rides gone bad. This can be due to a bad customer or a bad driver. In both cases, it is important to know the identity of both parties. Ride Sharing companies must properly identify their drivers and know who is providing services at all times. ID verification technology allows for this with proper validation for customer onboarding and proper validation and screening of drivers. Riders should also provide proper ID when signing up so that drivers will always know who is in the car with them should any trouble or danger arise, and drivers should have to initially and continually prove their identity. A preliminary check will catch fake ID’s and continual checks for drivers via biometrics such as facial recognition match, can ensure that the driver is who they claim to be throughout service times. Navotar is a worldwide provider of fleet management software for rental companies, dealerships, and automotive manufacturers. Through this partnership, car rental customers will now be able to do a quick scanning of passports and driver’s license for data extraction into Navotar customer management systems, while at the same time verifying their validity in seconds. Acuant optimizes operations and provides an additional layer of security against fraud. Working in real time, the partnership eliminates manual screening errors, speeds up the document inspection process and significantly reducing employee training, operating costs and customer inconvenience. Clutch’s vehicle subscription platform provides the automotive industry with an innovative and scalable way to enable vehicle subscription access. Clutch chose Acuant’s patented technology to authenticate driver’s licenses. As part of the verification process, Acuant extracts biometric and alphanumeric data from IDs and applies 50+ forensic tests instantly. Clutch will also perform facial recognition match to validate users. Acuant FRM is as easy as taking a selfie and comparing it to biometric data contained in the government-issued ID. Results are given in seconds, comparing the face biometrics of a selfie to the image on the ID and include a liveness detection test to prevent fraudsters from using static images by ensuring that a live person is in front of the camera. Pony Car Sharing is Romania’s first and largest car sharing service. Offering flexible pricing models, cars are parked on the street where users unlock them with mobile phones and can track them in real time on the app. Pony Car Sharing chose Acuant to verify members during onboarding, automatically capturing and validating identification information. Identity information will then accurately auto-populate the Pony Car Sharing database. This eliminates manual entry, photocopying and paperwork. Pony Car Sharing will also employ facial recognition match for stronger authentication. Customers using the Pony Car Sharing app can be remotely authenticated and unlock cars with their mobile phones. To learn more about Acuant Solutions today!